For anyone who knows and appreciates two-wheeled action adventure sports, there’s only a couple of worldwide events that stand out as being truly breath-taking. 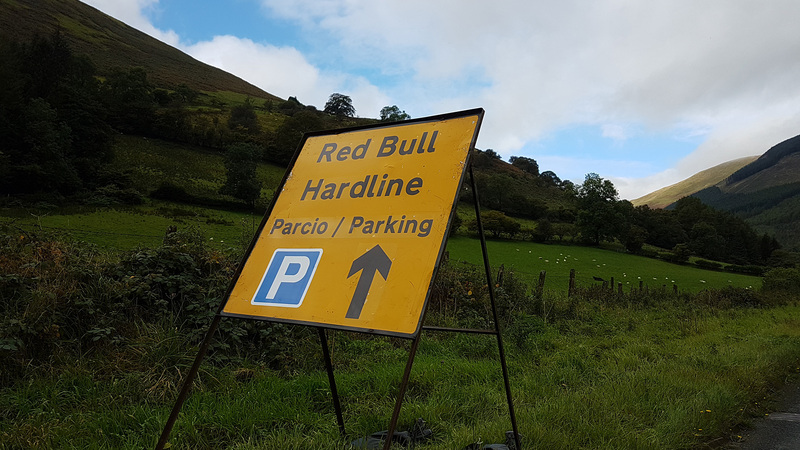 Red Bull Hardline, set amongst the wild mountains of the Snowdonia National Park in north Wales, is one of those events. 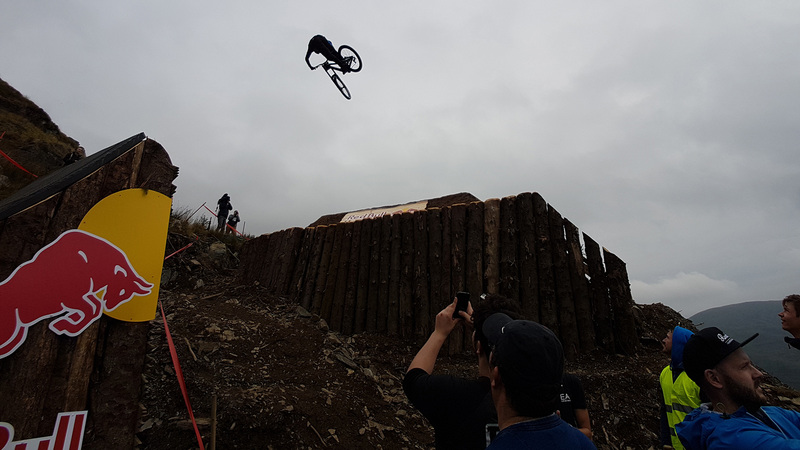 Despite its relatively short history, with the event only having started in 2014, it’s quickly become one of the most anticipated events on the mountain biking calendar. 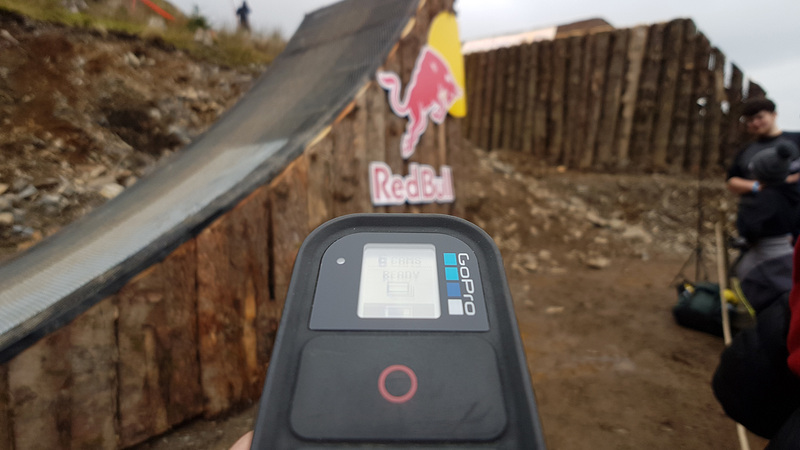 Hardline sees a selected group of invited riders pitching themselves not only against a downhill track that defies belief, but also against the clock. To say the track itself is largely un-rideable to the mere mortal would be a gross understatement; it’s pretty much un-rideable to even most elite-level riders…evident in the fact that many of the riders who are invited end up not competing or ruling themselves out through nerves, self-preservation (yes, even crazy mountain bikers have that switch eventually), or practice injuries. Here at Fraktiv, through our long-standing involvement with mountain biking, we’ve been lucky to be involved with Hardline for a couple of years, with us heading-up Canadian mountain biking uber-website, Pinkbike‘s coverage of the event in 2015. 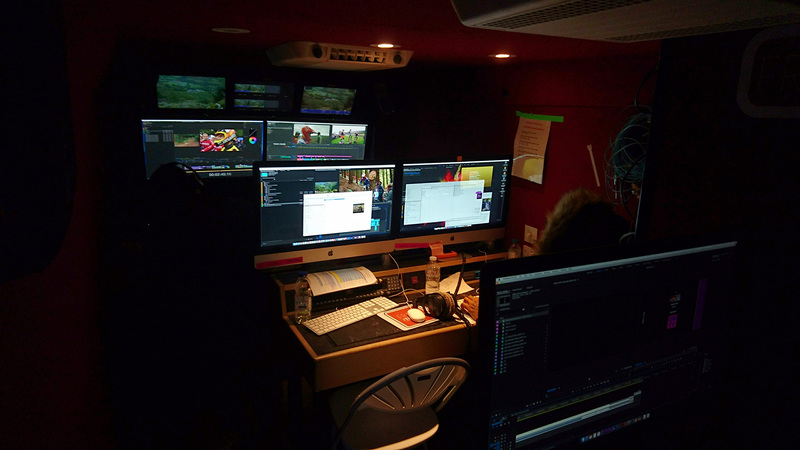 Whilst 2016 saw us take a sabbatical due to other work, 2017 saw us back on site at the sleepy village of Dinas Mawddwy, and in the midst of a the live outside broadcast organised by Red Bull and UMTV. Thanks to a good word from our good friend and event commentator, Rob Warner, we were parachuted-in to the production with just a week to go, as the UMTV team were looking for a live edit team to work on-site in the production village, to create a variety of media assets, from helmet cam previews and course guides to news stories and highlight reels. The edits were all to be Adobe Premiere Pro-based, so that fitted us down to a T, thanks to our extensive expertise with Adobe tools. 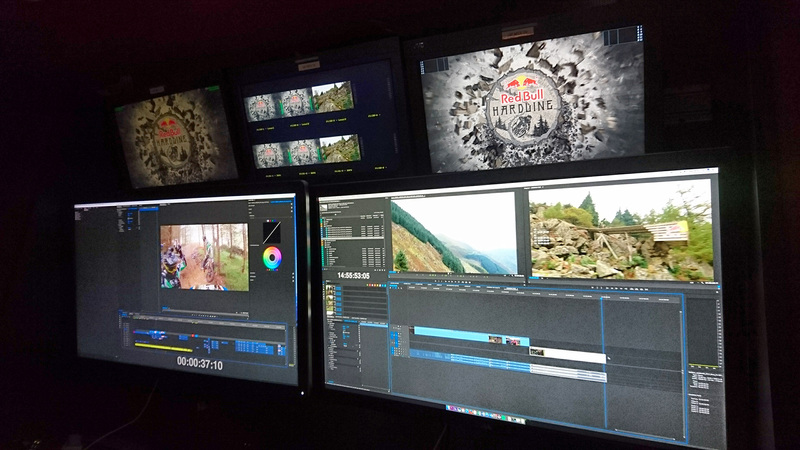 Working alongside four other editors, out job was to root-out the best clips – from crashes to jaw-dropping stunts – and to create the final 90 second weekend montage to close the show. The rest, as they say, is history, save to say we pretty much had the best seat in the house to not only watch the event unfold in the production trucks, but could also help tell that story to the world as they watched online via Red Bull’s Facebook and YouTube live streams and their Red Bull TV channel. The final piece of the Hardline weekend came in the form of us deploying our high-res 360 camera system on the hillside, to capture some totally unique shots of the event. We’re currently in post production with these, so watch this space for some jaw-dropping content, hopefully out very soon!